The red-tailed goodeid. The males, recognizable by their orange hindparts, are sometimes slightly aggressive. 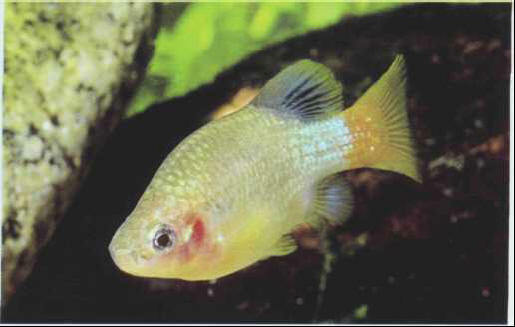 Gestation in the female lasts up to 2 months, with the fry (40-60) growing rapidly. Size: 7 cm.